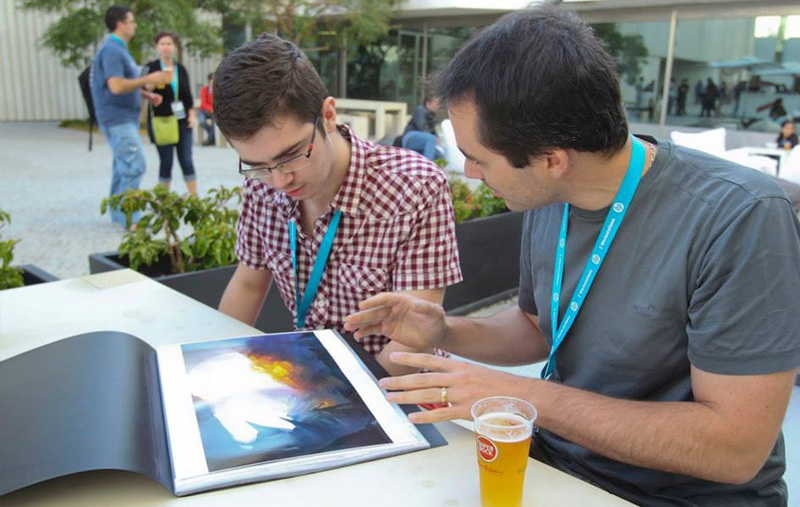 Landing that dream concept art job isn’t just a matter of talent. Success is when opportunity meets preparedness, so three to six months before you start sending out your portfolio, you need to draw up a plan of campaign. To help you get started, we asked concept artist Eliott Lilly, author of The Big Bad World Of Concept Art For Video Games, to provide his personal checklist of the ten most important things to do before beginning your job hunt. Everyone has a dream studio they would love to work at, or a project that they wish they could work on. Your first course of action should be to do some research on the artists who work at those studios to see what caliber of artwork they have on their portfolio sites. Look at one of those portfolios, and compare it to your own. How does yours hold up? If you’re just starting out in the industry, the chances are that it doesn’t. Therefore, if you apply to your dream studio right now, you probably won’t get the job. So don’t waste your time by applying. Don’t worry: all is not lost. By making a list of unobtainable studios, you have inadvertently created goals for yourself. You can put this list away for now, but check back in a few years. One day, you will put your art next to that of one of the artists you researched, and it will be just as good. That’s when you will know it is time to apply to your dream studio. 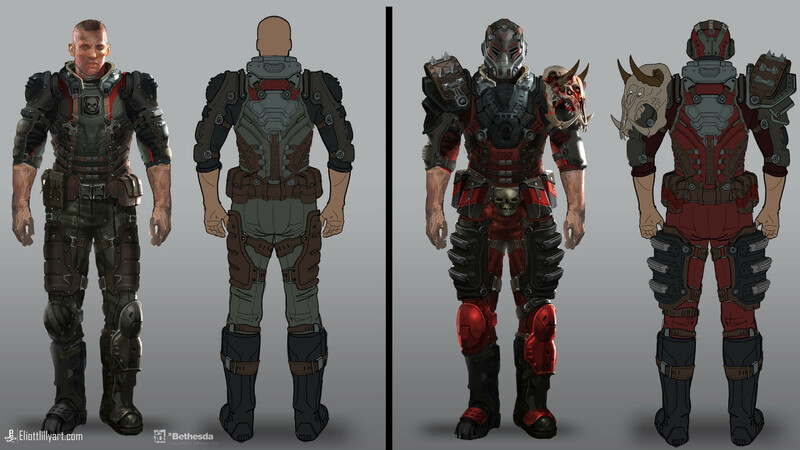 Concepts for id Software’s Rage, created by Eliott Lilly. Comparing your work to that of artists at studios you hope to work for will help guide your job hunt. Now that you know where you ultimately want to work, look for companies that produce similar projects, but aren’t in such high demand. These studios might be smaller in size or just less well-known, but they should still allow you to develop a professional body of work. Write them down in order of preference, then systematically check to see if they are hiring. Studios will often list employment opportunities directly on their website, or announce them on industry websites, forums or online galleries. [Like ArtStation’s job section – Ed.] You’ll have to do a bit of digging, but the jobs are out there. Keep your options open: if, while searching, you come across a studio you hadn’t considered before, don’t be too quick to dismiss it. Doing this before you are really in need of a job warms you up to the process, familiarizes you with the current market climate, and alleviates some of the stress when you start job-hunting in earnest. Before applying for a job, have your work evaluated professionally. If you’re still a student, you can ask your teachers; or you can ask other industry professionals you know. [Some trade shows, like Trojan Horse was a Unicorn, also run portfolio review sessions – Ed.] Avoid asking family members or close friends: they may only tell you what you want to hear. Asking for constructive criticism early on will give you enough time to make any changes necessary. • Based on what you saw in my portfolio, what type of job do you think I will be best at? If the answer doesn’t line up with your expectations, the chances are that your portfolio does not convey your intent, that you do not have the right images in it – or worse yet, that the quality of those images isn’t up to industry standards. Either way, you will know that you have work to do. • What do you think are the strengths and weaknesses of my body of work? No matter what answer you receive, do not interrupt or try to defend your work – it must stand on its own! If you don’t like the response you get, ask what you need to practice in order to improve. • What else do I need in my portfolio to work in [industry sector X]? Whether you want to be a character, environment or prop artist, an experienced professional will know if you have what it takes to make it in your desired discipline. After hearing all of the feedback, take action. Don’t drag your feet or put it off: do it now! A portfolio review in progress at the Trojan Horse was a Unicorn festival. Getting professional feedback on your work before applying for jobs is invaluable. It’s time to start thinking about your website and its design. It will need to meet industry standards to be taken seriously. You will have to give thought to where the site is hosted, what kind of content it contains, and even the ease of navigation. Your website should send the message that you are a young professional looking for work. If you need help, visit other professional artists’ sites for ideas. Besides your artwork, your site should include your resume and contact info such as a phone number or email address. (Avoid including your mailing address, since that’s a bit personal: save that for the resume.) Since people tend to right-click and save images they like to their computer, make sure that your website’s URL is written in fine print on every image on the site. Since art directors visiting your website will only spend a few minutes clicking around, you have a very short window of opportunity. Be sure that the site is easy to navigate, and that there is little clutter to distract the eye. No ads, music or flashy animations are needed. It is also important that your content is optimized as efficiently as possible to minimize load times. Before you apply for jobs, you will need to create a resume listing your credentials, educational background and employment history. Make it as professional-looking as possible, and keep it under two pages in length. (One page is better.) There are hundreds of tutorials on how to do this online, along with templates you can download, so just do some Googling. And remember: no typos! When a videogame is on display at an expo, there is usually either someone from HR or a studio employee present at the booth. [The same goes for VFX and animation studios at trade shows – Ed.] If you are lucky, they may be willing to look at your portfolio and answer your questions. Getting face-to-face time with a studio representative is the best way to make a lasting impression, since you are not only showing off your work but your personality. Consider it a mini-interview. If things go well, that person will give you their business card, thereby becoming your contact point at that studio. By the end of a trade show, you should have several cards, so write down a few notes about each person you spoke to while they’re still fresh in your mind. It is important to note if they had any comments or advice – and more importantly, if they want you to follow up with them. Remember: before attending trade shows, you need to have completed the previous five steps. Without an awareness of which studios you want to work for, a solid body of work, and a resume to match, you will be wasting a lot of time and money. Besides your website and social media, post your work on professional concept art galleries. Submit your work to art contests, both online and in print. Doing so increases your visibility and the chance that someone might ‘discover’ you before you even apply. It will also give you a taste of real-world deadlines, restrictions and pressures. Even if you don’t win, you may get a portfolio piece from it. And don’t be afraid to post your work on concept art-related forums in the ‘needs help’ section. Not all of the feedback will be helpful or even relevant, but if you learn something new, it will be worth it. Once you have begun to narrow down the studios where you want to work, reach out to artists at those studios and show them your work. Ask questions like: “What else does my portfolio need to be attractive to your company?” Developing a rapport with team members before you apply for the job will improve your chances of getting hired. You should also be connecting to other artists in the industry via social networks, public galleries and forums. Form a relationship with them by following their blogs, commenting on any pieces they post publicly, and by sending them the occasional quick email. It is beneficial for any artist to be part of a network of industry professionals who look out for one another. Leading artist David Levy, interviewed in Eliott’s book, The Big Bad World of Concept Art for Video Games. Building contacts with other industry professionals will help your job search. Start taking interest in industry news. Bookmark key games or movie industry news sites and visit them for a few minutes each day, skimming articles. During interviews, it helps to know what the current trends in the industry are, so that you can talk about them when asked. Keep track of all of your job-hunting efforts. Document which studios you are interested in, which you have contacted, and with whom you have spoken. Compile all of your job-hunting resources into a single list, and save all of the industry-related websites in a bookmark folder in your browser. Once you begin to send your artwork out to studios or to other artists, keep track of what you sent to whom, and document any comments or feedback they gave you. Trust me, after you’ve been doing it for a while, it’s easy to lose track! By now, you should have established your job-hunting goals, and created the body of work and other supporting material that you need to achieve them. When an opportunity presents itself, you can instantly act on it with confidence. 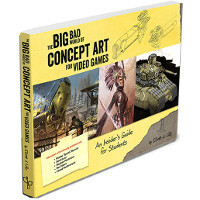 For a more in-depth look at the subject, check out my book The Big Bad World Of Concept Art For Video Games: An Insider’s Guide for Students. It covers in detail what the job of a concept artist really entails, how to choose the right education, what you should be studying and practicing in school, how to build a portfolio to land the job you want, and much, much more. 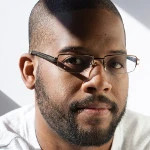 Eliott Lilly is a freelance concept artist, adjunct professor, and published author. He has worked in the games industry for nearly a decade, and is currently working with Treyarch on Call of Duty: Black Ops 3. You can find more information on his blog, or see his artwork in his online portfolio.